Yep! 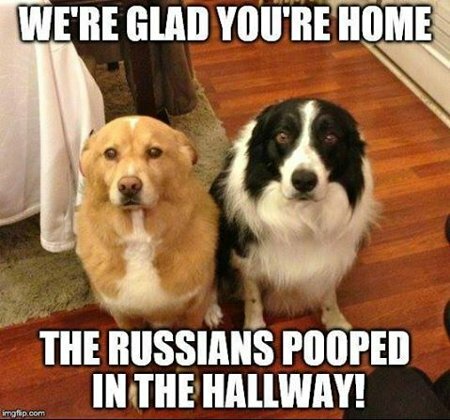 Even dogs are getting into the narrative that the Russians are to blame for anything and everything. This entry was posted on Friday, March 24th, 2017 at 7:44 am and is filed under 2016 Election, Humor, Politics. You can leave a response, or trackback from your own site.